Area is the size of the surface of an object. In this article, we will discuss about the formula and php code in solving for the area of a circle. Try PHP Circle Area Live Here! I used the pi() function but you can also declare a variable with the value of 3.1415926535898. The pow() function is used to express exponential values. 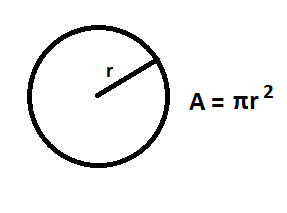 Let's say pow($radius,2) means the value of $radius will be raised to 2 with the value of 10 for the $radius. If you want your output to be formatted in 2 decimal places, just do it this way.